ORLANDO, FL, Sporting Alert — Watch live ESPN3 streaming coverage of the 2017 NBA Summer League, as several rookies and sophomores look to prove themselves before the start of the new season. There are three games streaming live on ESPN3.com and WatchESPN on Tuesday. The opening tip of the day will be at 1 p.m. ET between the Charlotte Hornets and the Oklahoma City Thunder in Orlando. Oklahoma City has won both its Summer League games thus far, while Charlotte is 1-1 this summer. Vince Shamar Hunter, Dakari Johnson and Josh Huestis are two of the youngsters to watch out for in the Thunder lineup after they impressed the coaches in the earlier games. The Hornets are coming off a defeat against the Indiana Pacers and will be hoping to bounce right back. Indiana, meanwhile, will take on Dallas, live on ESPN3 and WatchESPN, starting at 3 p.m. ET. Both teams are undefeated so far in the Summer League, with the Pacers starting at 3-0 and the Mavericks at 2-0. At 5 p.m., Detroit and Miami will face off in the last game of the day. The Heat, who were beaten 86-83 by the Indiana Pacers on Monday, are searching for their first win this summer after losing all three of their games. The Pistons, in the meantime, are 1-1 on their summer development schedule. 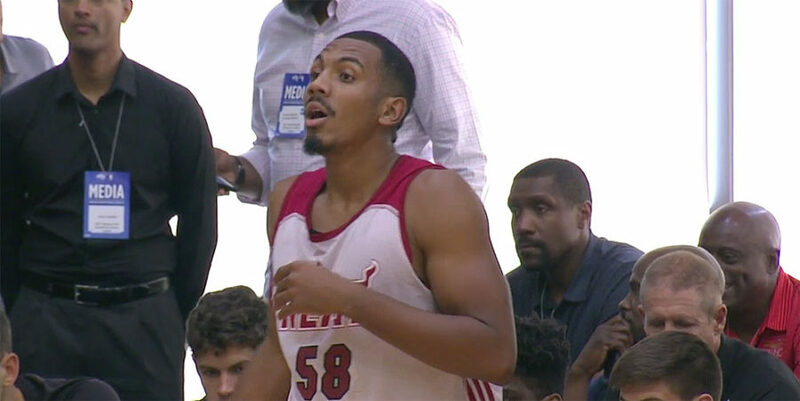 Miami is tied for last with the New York Knicks in the Orlando Summer League standings.